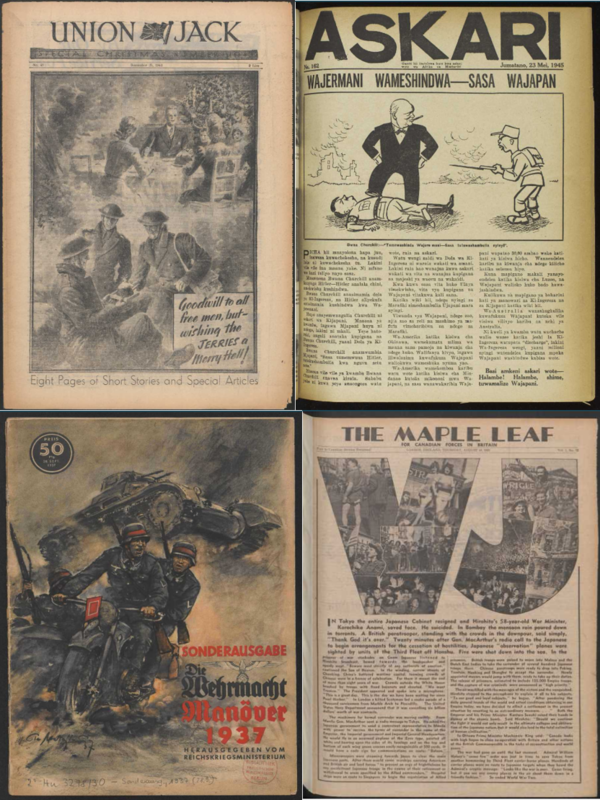 Thanks to a request from staff in HCA the Library has been allowed trial access to the brand new digitised primary source collection Service Newspapers of World War Two by Adam Matthew Digital. This resource gives you unique insight into the story of war as told by the newspapers and magazines that brought information, entertainment and camaraderie to the forces. Trial access ends 14th May 2018. [Clockwise from top left] Front covers of Union Jack (25 Dec 1943), Askari (23 May 1945), The Maple Leaf (16 Aug 1945) and Die Wehrmacht (28 Sep 1937). In addition to maintaining the men’s morale and helping to create an atmosphere of solidarity, journalism played a vital role in keeping the servicemen informed about events in their unit and immediate locality, as well as delivering news from home and about the war at large. Many newspapers were written by the servicemen themselves, while others were sanctioned by senior staff and had a more official agenda. 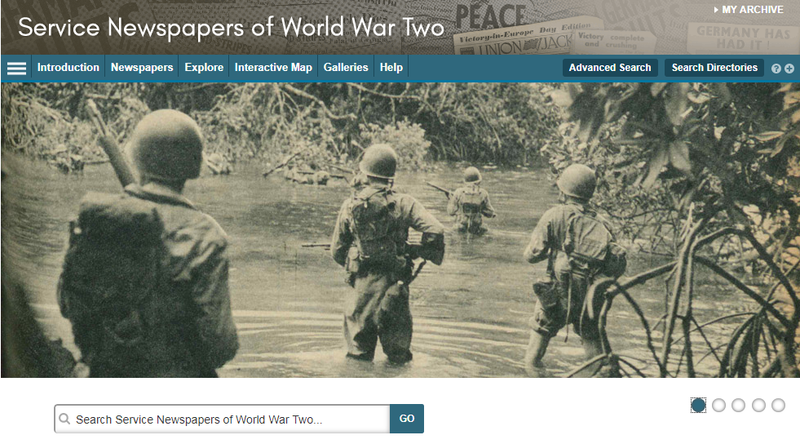 Access Service Newspapers of World War Two via e-resources trials. Access available until 14th May 2018. Please note that PDF download options are not available during trials. You can access all the digital primary source collections already available at the Library via the Primary Source databases list. Extensive newspaper and magazine archives are also available. This entry was posted in Library, Online resource, Primary sources, Trial and tagged 20th century, archives, Britain, cultural history, Databases, Europe, History, newspapers, primary source, social history, World War Two by cstirling. Bookmark the permalink.